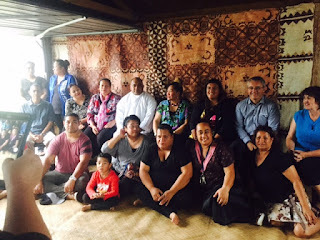 The launch of the Ako Fakataha Project. On Monday 7 of Marcy 2016 at 6pm, the first meeting of the families participated in the projects. Eight families gathered No 2 Camp Rd, Panmure. The gathering was at the Uhia’s family garage. The principal and teachers from SPX were all there. The chairperson of the Board was there. Councillor Josephine Bartley was the invited guest of the meeting. Father Setefano, blessed the gathering and the project. He reminded the parents, the importance to educate our children for they are the future of the family, future of the church and future of the society. It was a great gathering. The 8 families and children were buzzing with excitement. They were at home with where the meeting was held. The meeting was led by the parents .